On the last weekend of May I was lucky enough to be asked to photograph a wedding reception at the Carrigaline Court Hotel. I've never shot a non native event like this before, but to take on something as culturally different as this was a great opportunity. Initially I had been asked for a small bit of coverage for just a couple of hours but the day was so full of family and celebrations I had to spend the entire day there to capture everything! 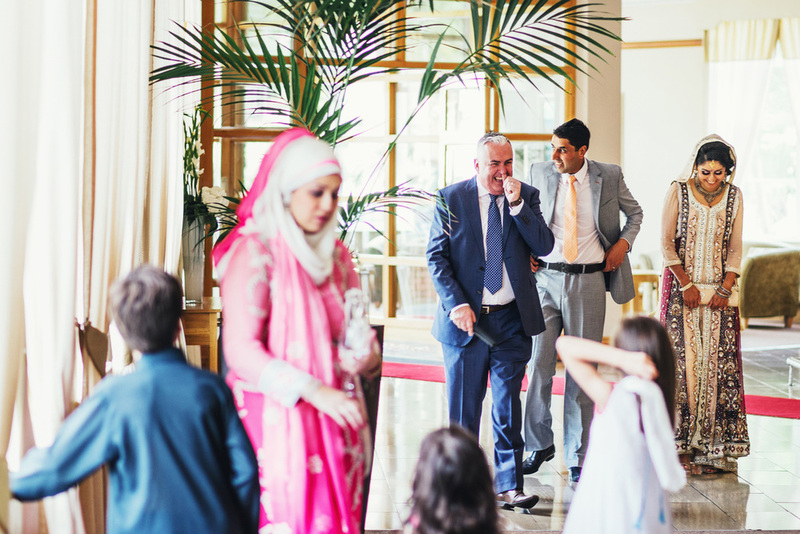 The lovely couple were Sadya and Zuban and actually had their wedding ceremony itself in Manchester a few days previously. 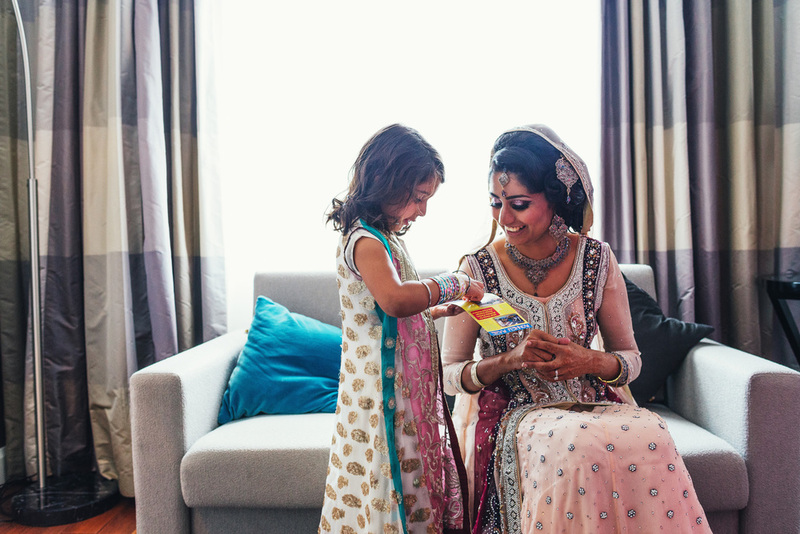 As is tradition in Pakistani or Indian weddings, the ceremony itself occurs in the home town of the bride featuring predominantly the brides family. As Zuban is from Cork, his family and close friends were present at this reception event so another chance for everyone to get together and celebrate! As usual, I arrived at the venue early to get an idea of where all the best spots to grab photographs would be. Thankfully the foyer in the hotel is nice and bright and we were incredibly lucky that the weather was amazing for the entire day. Sadya's dress was highly impressive. The amount of detail and design it had was incredible and they told me it was a weighty 15kgs! After the main reception dinner we took a short drive out towards Crosshaven to get some portraits of the Bride and Groom. I'm incredibly happy how these turned out, again, lucky that the weather held out for the rest of the evening to capture these beautiful images. I wish both Sadya and Zuban a happy future together and thank them again for letting me capture their special day. Update: During the wedding reception, I was made aware of Zuban's father's illness and I unfortunately heard recently of his passing shortly after the wedding. My sincerest sympathies to Zuban and his family. May he Rest in Peace.